Nice rooms. my only complaint would be the "resort fee" absolutely scandalous secret charge... why not just add it to the price of the room. However, I guess in the USA the price you see is never the actual price. Very nice hotel with an unbeatable location. I'm very particular when it comes to cleanliness. We got the room facing the strip (which was mentioned by the receptionist that it was a free upgrade). Apparently our free upgrade resulted in clogged bath tub. I hate bath tubs so i definitely do not enjoy my shower time. if possible request for the newer wing, you shoulf be more satisfied with the choice. Love the hotel and its location.. It seems safe.. as by midnight there will be security checking room cards before we proceed up. I think Mirage ned to change the way we access the lift, cause anyone can just ride up the lift to any floor without a card. It would be dangerous, without security checks esp during the day and before midnight. 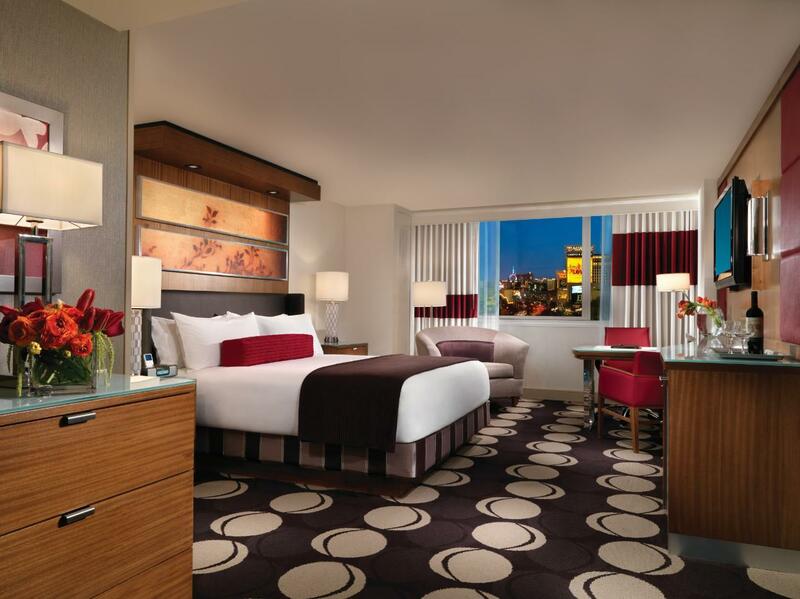 The Mirage is a great hotel. It is spotless with large rooms and comfy beds and has all the amenities you need except tea/coffee making facilities in the room. I don’t know if this is usual for Vegas hotels but it’s the first one we’ve stayed in anywhere in the world that doesn’t have that facility. This spoilt it for us as we had no choice but to get dressed and go and buy Starbucks in the hotel every morning which was more expensive than in the uk. This would have been a 5 star review had it not been for that. We were told at check-in that our room was not available yet, but to leave our phone number and we would receive a text when it was ready. We were given our room access cards but no room number. We were told that our room was worth the wait because it had pool views. At 3:10 when I still had not been messaged about my room I returned to the lobby to find the line 30 yards long. I went to the self check in counter and a lovely girl helped me with new room access cards. Only problem was our room was at the back of the property with views of a rooftop and a freeway. I was disappointed by this as it was not what we were promised. Other than that though, the pool was great and dining options were good. Next time I will gamble elsewhere though. This hotel is one of the top hotel in the Strips. It is really in the heart of the strip, have spacious room, clean and comfortable. On arrival was charged a resort fee which Agoda did not mention at booking time. Had to wait 3 hours for the Room and was told they would text when ready. Had to go back to the front counter to check on room and was told it had been ready for Some time and texting system was down. Ummm ring. Smoking everywhere so for a none smoker this is not good. Room was big and nice. Cleaned daily. The stay was great overall, the front office staff were fantastic. Always smiling and ready to assist. 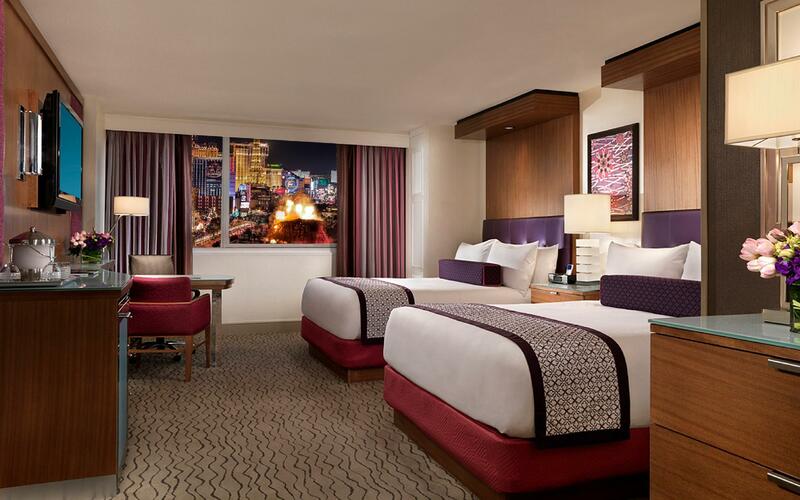 The beds were great, i had internet access and location is good on the strip. However, my only comment was the Concierge staff. it's been a while since i stayed at the Mirage to writing this feedback, but still i can remember the unpleasantness of the concierge ladies. They need to seriously smile more, and be more ready to help. I'm from the hospitality industry and have worked in an integrated resort larger than the Mirage in a Concierge position as well, I can't say that they have bad service but needs to be pushed to provide what I want. I tried to book the tour through the pink jeep through them, but when the pink jeep customer service said no to one of my inquiry the concierge lady didn't put them on hold to ask my opinion first and just hang up the phone. Afterwards, we had to call them again and it took us almost more than 10 mins to get the customer service at Pink Jeep. In the end, I reckon it's better than I speak to them by myself through the phone. 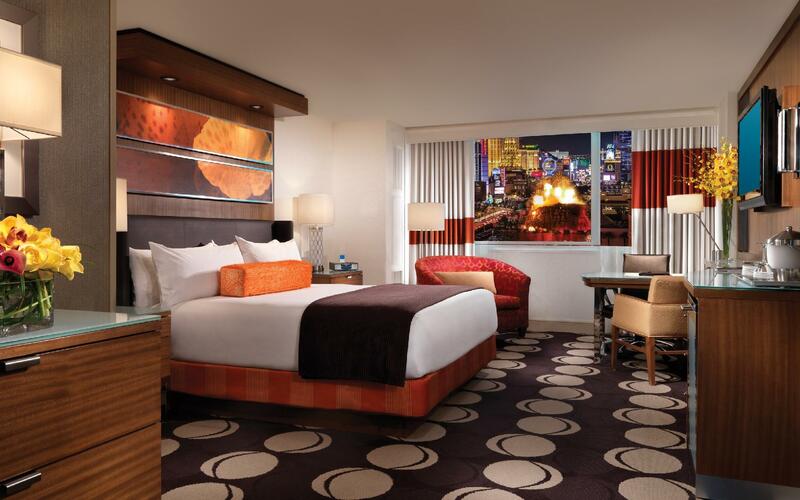 this hotel very strategic location at the stips of vegas, friendly staff at the reception and helpfull concierge. it's only 20minutes away from the airport. i was stay at deluxe room with two queen bed and this room very comfortable, very clean, nice view to the strips and it's a large room for a couple. there's a lot of entertain in this hotel, casino, bar, lounge, restaurant, and they also have a great show. i'm gonna stay at this hotel again for my next trip. My trip to Las Vegas was great. My stay at the Mirage was less than average. For what I paid to stay, including a 33% “hotel fee” along with charge for self parking on top was soooooo disappointing. I thought that I would have a nice dinner at the buffet and that was even below average. There was limited selection, (some of the desserts were even stale) and I noticed that the ceiling of the dining area was dusty, dirty and in need of repairs. Rather disgusting above the food which indicated the lack of concern by the hotel. I would not recommend this hotel to anyone looking for the “creature comforts” that Las Vegas is known for. First night I was given a room in the second floor that had a terrible noise from the mechanical equipment on the casino roof and i was told that they only can change the room for the next day. The second room on the 22nd floor was quiet but when I was taking shower in the morning, suddenly, I saw toilet water of the room above gets into the ceiling and pures from the light hole on me in the shower. So disgusting, and thanks god I was not killed by electric shock from the dirty water passing from the light hole. I had to check out and run to the airport. I showed the video of this situation to the concierge. They didn’t even want to pass my message to the management or think they should fix any thing or at least oppologize. Hotel com excelente localização Atendimento muito bom na recepção Estacionamento self park gratis para hospedes. Limpeza muito boa todos os dias no quarto O chuveiro poderia ser um pouco melhor. Pool party excelente. You pay for the room and that’s ok (no breakfast including or anything), parking $15 a day, service fee $37 a day plus taxes on that and then room booking, it actually ended up being quite expensive! Staff were great and friendly but they have to because deep down they know they’re secretly ripping you off. Now we know. Great hotel, fantastic location, fab pool ! Only downside food and drinks seemed very expensive . ($16 for a pint of beer) But I suppose that is Vegas ! Would I return to the mirage.. I certainly would. Modern rooms, excellent restaurants and good bars with a great location on the strip. Compared to a lot of other hotels on the strip near it’s location the mirage ticks all the boxes and is far far better value for money. Rooms aren’t quite as modern or stylish as say the cosmopolitan however for the money you can’t complain. Different vibe in this hotel not as big a pool vibe as others however plenty beds to sit by the pool and get the sun all day. Couple decent bars in the mirage as well again not as a hip crowd as other hotels however still great fun. I’d really recommend this hotel and would stay again if their werent so many other great hotels to try.